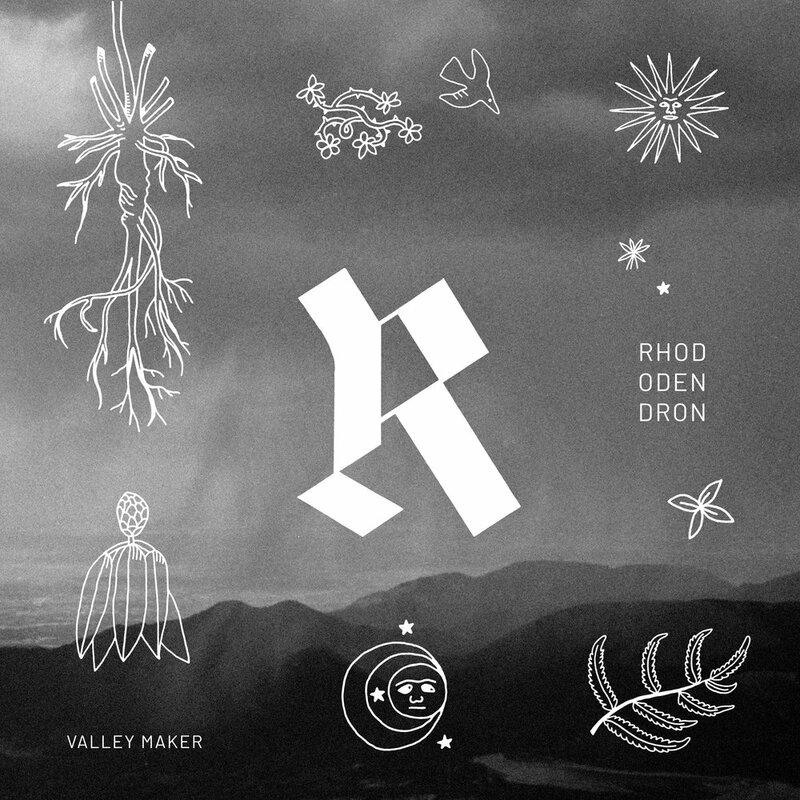 On Valley Maker's second full-length album, Rhododendron, songwriter Austin Crane sings about movement - from one kind of belief to another, from place to place, through time. This new record from Crane, a Seattle-based musician and PhD student in Human Geography, reflects both the rootedness and rootlessness that shapes his songwriting on the precipice of his third decade. Like his noted inspirations Jason Molina, Bill Fay, and Gillian Welch before him, he speaks to the strange and transitory ways we mark time through our lives. Years pass and fold in his cosmic American songs. Crane formed Valley Maker in 2010 with a self-titled collection of songs written for his undergrad thesis project at the University of South Carolina, tracing existential questions around biblical origin narratives, as embedded in his spiritually-infused Southern upbringing. Similar themes shade his vision on Rhododendron, which follows 2015's When I Was A Child. Prophetic and apocalyptic language shapes Crane's lyrics, but his outlook is not bound by dogma. Instead, he uses the metaphors of faith to explore the ineffable and to navigate the intersection of belief, time, place, and the political present. Much of the album was written leading up to the 2016 US presidential election and in the months after as Crane was traveling for his PhD research on migration, borders, and humanitarianism. Tellingly, it grapples with what it means to share space with others as popular political discourses veer towards exclusion. Named for the common plant which springs up in both Crane's native south and his current home in Washington, Rhododendron speaks to how the places and moments we occupy become reflections of ourselves. In his careful, open-hearted songs, characters move from place to place, traveling through time and over lines on maps, driven to encounter the mysteries of existence and glimpse shared humanity. Though lyrically contemplative, the music floats. Crane's songs retain their folk-based nature - they are the kind of songs that stand on their own with his lone voice and guitar - but they bloom paired with surprising rhythms and arrangements. The album was recorded between two locales. In Portland, Oregon, Crane teamed with producer/engineer Chaz Bear of Toro Y Moi. Longtime friends and schoolmates from the University of South Carolina, Bear and Crane laid the groundwork for the record over four days, playing all instruments in tracking four songs between themselves. The record's remaining songs were tracked in Seattle, Washington with producer/engineer Trevor Spencer (Father John Misty, Fleet Foxes). Having worked together on Valley Maker's previous release, Spencer and Crane's Rhododendron sessions aimed for imaginative, groove-oriented arrangements that remain concisely in step with the individual songs' qualities, enlisting drummer James Barone (Beach House, Tennis) and bassist Eli Thomson (Father John Misty), along with Brandon Camarda on trumpet, and Andrew Swanson on saxophone. Amy Fitchette, a longtime collaborator whose roots with Valley Maker stretch back to the Southeast, provides richly layered vocal harmonies across the album to round out Rhododendron's lush but spacious sound. From the streamlined indie rock of opener "A Couple Days" to the swirling psychedelia of "Be Born Today," from the soulful horns of "Rise Up" to the ambient touches of closer "River Bend My Mind," the album demonstrates Crane's distilled approach, his solidly built songs blooming with tasteful arrangements and touches. Out October 12, 2018 on Frenchkiss Records, Rhododendron is an album about transition, about leaving, but also arriving, a document of the journeys in-between.